Wise Ax: 1.20.2009 - What a Day! In addition to all the presidential activities, some friends of mine decided to get married on Inauguration Day. They were high school sweethearts whose paths went different ways and now twenty years later they rekindled their relationship and yesterday made it official. 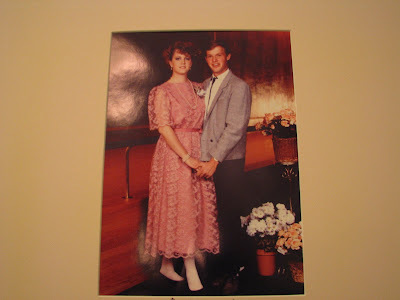 Here is a photo of them at a high school dance. The 'new beginnings' theme that the entire country is embracing works for a romantic wedding day too, right? Finally, I also stopped by the special SLC/Sundance 'tweetup' at the Beehive Tea House where director, Ondi Timoner, spoke about her documentary 'We Live in Public'. I enjoyed hearing Ondi and Josh Harris, the subject of the film, speak about the role that technology plays in shaping our lives. 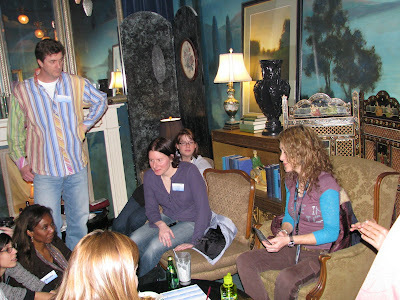 Also, it was great to meet some of the people I follow on twitter face to face!